The Watch Dude: Welcome to the Jungle! Casio has your watch! 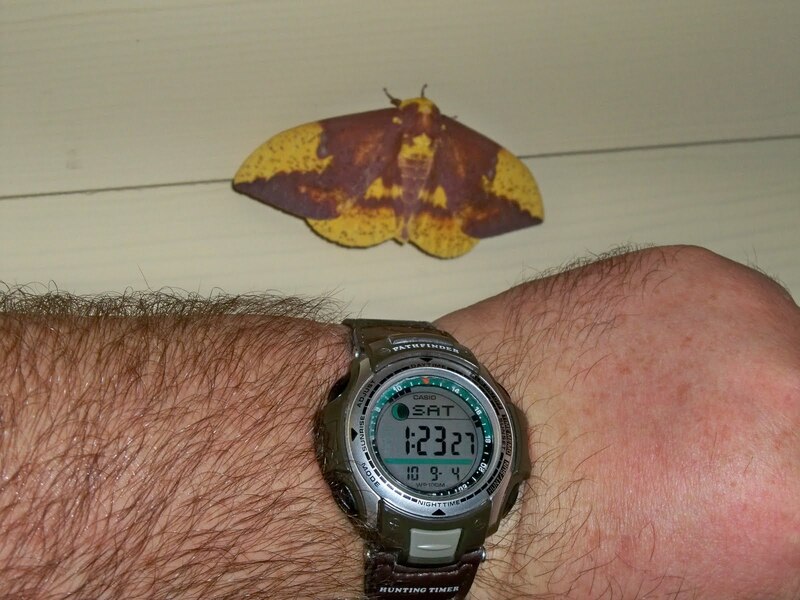 Here is my Casio Pathfinder and Mothra--a typical Florida-sized bug!! !